What does Unified Info mean on iPhone? Among the standard WordPress offerings are statistics on each blog, and corresponding search terms that were used to discover any particular entry. Those are very powerful tools, and in the proper hands, can be effectively utilized. It’s interesting to read the search terms that often lead to this blog, and to this point, though I have considered opining on some of the more “fascinating” or “peculiar” entries, I shall share something a wee bit less salacious. In fact, it’s not salacious at all. One such entry was “what does unified info mean on iPhone“? First, consider what the word “unified” means. By implication, unity, unification, or unified means that exactness is present. There is no variation, or difference. Things are as one. They are made into one. To unify is to make into one. 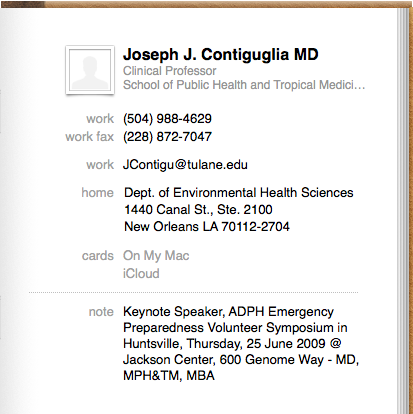 New Contact on iPhone – Note the data fields. 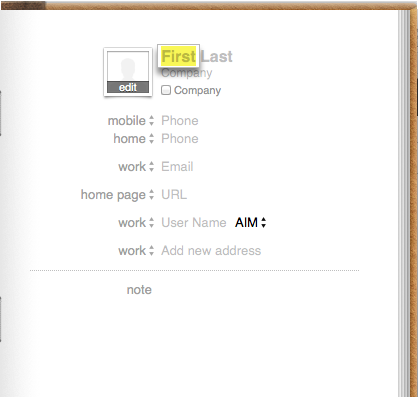 Sample Contact entry in “Contacts” address book on OSX.